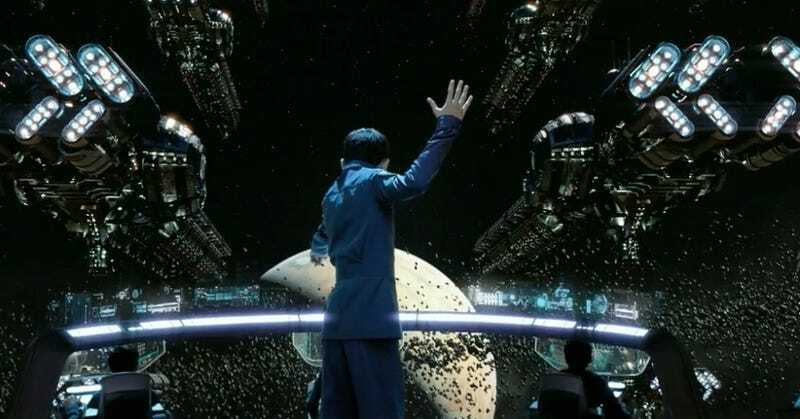 Ender's Game didn't perform very well at the box office, but that's not going to stop VOD spin offs and potential TV series pitches. Producer Bob Orci even wants to pen an original "teen Ender" spinoff without Orson Scott Card's help. Spoilery talk ahead. The idea kind of makes sense as the next book, Speaker for the Dead, takes place far in the future when Ender is a man. So the audience would miss out on the madcap adventures of Ender and his little bug baby. It would also be a very Hollywoody side-step away from the drama surrounding author Card's politics. Then there's also the idea of taking the infinitely more popular novel Ender's Shadow and adapting it for television (which they've long talked about doing). …It could be potentially original because in Speaker for the Dead you pick him up when he's already a man. There might be an in between step if that happens….That's why I think the rights that they worked out is it could either be one of the books or it could be original or a mix so that you can do what you need to do for a movie. Can Ender live on, or is this just another example of creators trying to make a full meal out of the leftover carrion from a spoiled franchise?